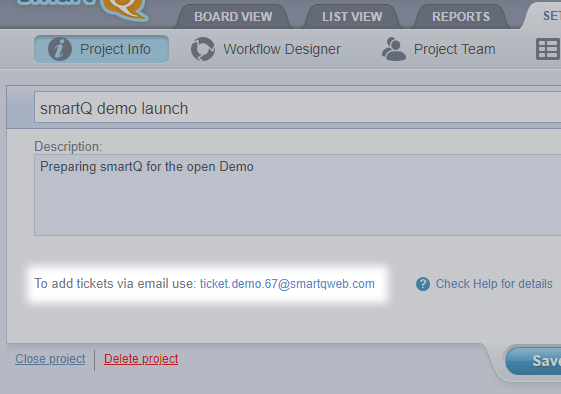 Creating smartQ tickets form email is an useful feature that we had for a long time. But till now, all those tickets were posted into one (default) project. 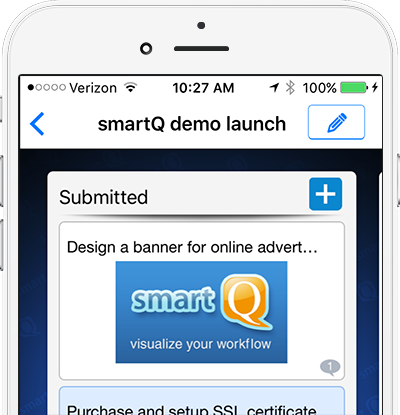 We just updated our iOS app (iPhone and iPad). 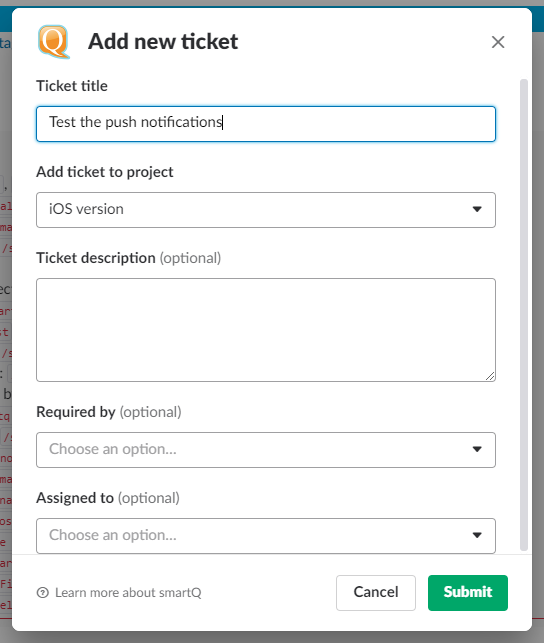 Now it supports push notifications (disabled by default) that replicate the email notifications. Also, now more ticket information can be displayed on the board (adjusted via Settings). 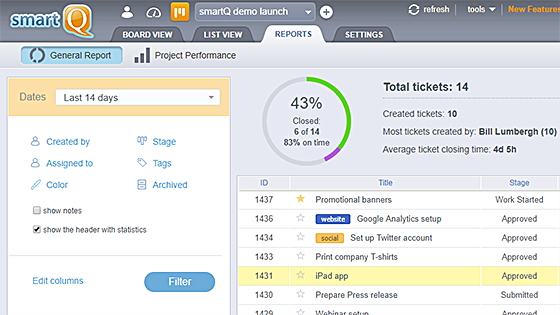 smartQ allows people to submit tickets without being registered as a smartQ user — via External Access. 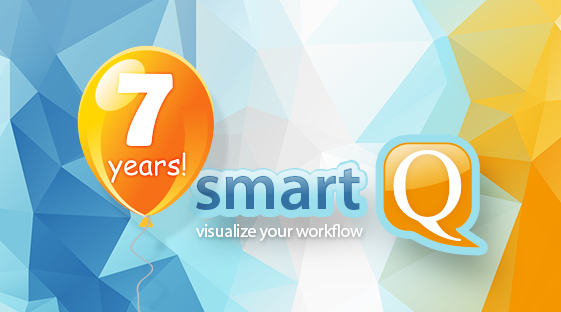 It makes it possible to use smartQ as a help desk or s customer support system. 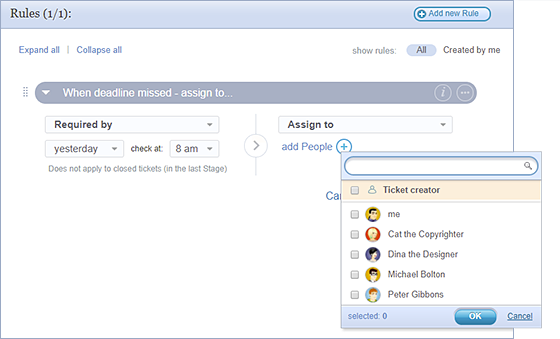 You can have an unlimited number of customers submitting tickets via email or a web form, tracking the status of their tickets via a simplified interface. 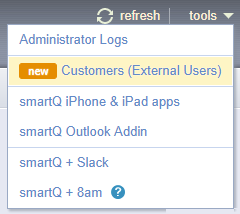 Now you can also see the list of all those Customers (External Users). This feature is available via the “Tools” menu, and is visible to Administrators only. 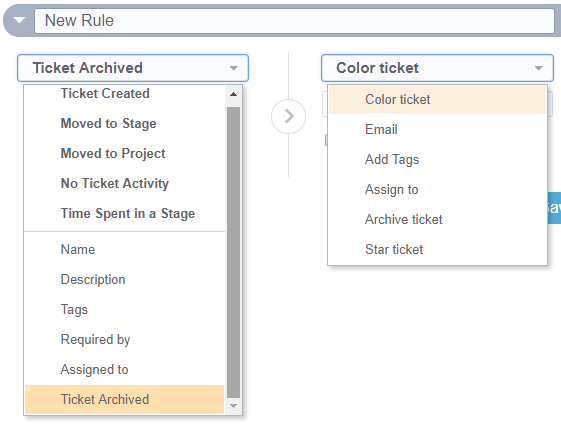 We just added new updates to the Automation feature: “Ticket Archived” condition, “Star ticket” action and more. We also added support for custom fields in the General Report. We just updated our iOS app to run smoothly on iOS11. You can download the latest version via iTunes.